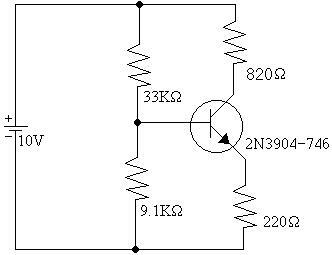 The objective of this lab is to construct two transistor biasing circuits, and observe the changes that occur between two different circuits caused by the change in the components. 2)	Record the values of VB, VC, and VE. 3)	Calculate IB, IC and b. 4)	Replace the first transistor with a second. 5)	Repeat steps 2 and 3. 7)	Repeat steps 2 and 3. 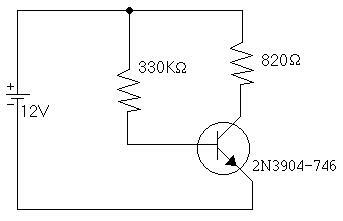 8)	Replace the first transistor with a second. 9)	Repeat steps 2 and 3. 10)	Compare b and VBE to the theoretical values given in the text. C)	Table 3: Values of VBE and b between experiments and given values. From this experiment, one can see that in transistor biasing, the effects of component changes is greater on the second schematic than the first, when the transistors are swapped.